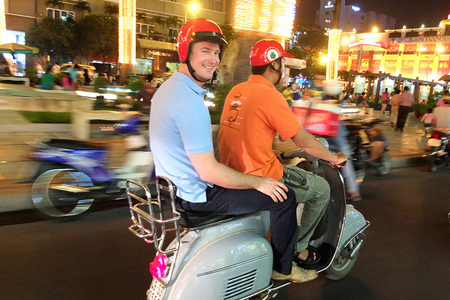 7:00AM: Your guide will meet you in the lobby of your hotel and bring you by car to your boat at Ho Chi Minh City’s central pier in District 1. 7:20AM: Depart Saigon by boat. Within 15 minutes, the banks of the river change from sprawling city to lush jungle. A light breakfast of sandwiches or pastries, fresh tropical fruits and Vietnamese iced coffee (Ca phe sua da) is served, as your guide explains rural traditions and aspects of riverbank life. 8:50AM: Arrive at the Cu Chi Tunnels, before the majority of larger bus tours arrive. Watch a brief introductory ‘propaganda’ video to the Cu Chi area. 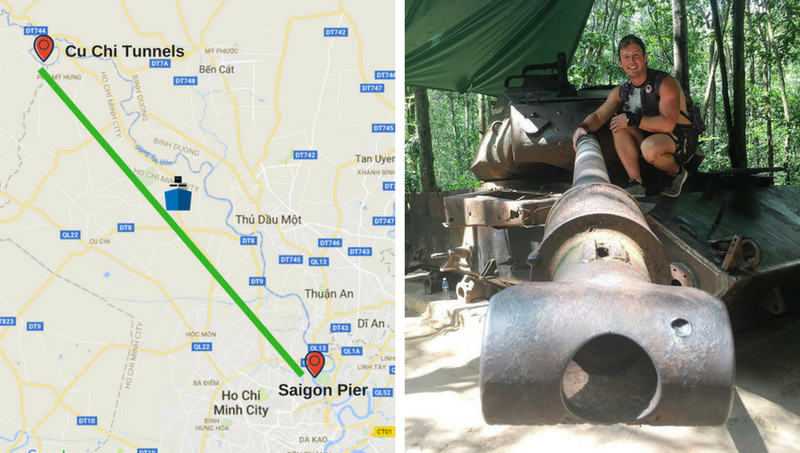 9:00AM: Explore the Cu Chi site, which includes weapon and booby trap exhibitions, navigating authentic Viet Cong tunnels, visiting different underground bunkers (with kitchens, meeting rooms, munitions etc. ), a firing range and much more. Taste the local cassava root that sustained Viet Cong fighters for years. 13:00PM: Arrive back at Saigon’s central pier. Les Rives staff will take you back to your hotel by car. Les Rives will provide sunscreen, insect repellent, waterproof ponchos and umbrellas.Soft drinks, water and fruit provided during the boat journey are included in the overall price and not subject additional charge.